Gautam Mahajan is an internationally acclaimed expert in strategy, general management (including Customer Value), and globalization. He is President of Customer Value Foundation and Inter-Link Services Private Limited, an International Consulting Firm in operation since 1987, working with clients from America, Europe, Asia, Australia, and India. Gautam is also the Founder Editor of the Journal of Creating Value, an international journal focused on Customer and Value Creation (see jcv.sagepub.com). Gautam Mahajan is the leading global thought leader in Total Customer Value Management. He worked for a Fortune 50 company in the USA for 17 years and ran one of the largest businesses. He has hands-on experience in consulting, educating leaders, professionals, managers, and CEOs from numerous MNCs and local conglomerates like Tata, Birla, ITC, Alcoa, Reynolds, Sealed Air, Rexam, Viag, DuPont, Continental Can, and Godrej Groups. He is the author of widely acclaimed books: Customer Value Investment: Formula for Sustained Business Success and Total Customer Value Management: Transforming Business Thinking. He has also taught at IITs and abroad. Gautam Mahajan was previously the President of the Indo-American Chamber of Commerce; Chairman, PlastIndia Committee; Vice President, All India Plastics Manufacturers Association; Trustee, Plastics Institute of America. 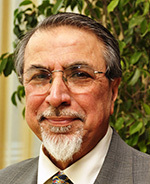 He was a member of the US–India think tank and Chairman of the US–India Economic Relations Forum. including the PET bottle and noise control kits. He was honored by the Illinois Institute of Technology with its Distinguished Alumni Award in 2001. He has been written about in the Wall Street Journal. He also gave the first Distinguished Engineering Lecture at Illinois Institute of Technology followed by a Distinguished Management Lecture. In September 2011, he spent time in the US talking about Indo-US relations and how to improve them. Gautam Mahajan is a graduate of IIT Madras, where he was an Institute Merit Scholar, has a Master’s degree in Mechanics and has completed his PhD coursework from the Illinois Institute of Technology. He has an MBA from Suffolk University. Gautam Mahajan is a prominent and charismatic speaker and evangelist in Value Creation and travels the world on speaking engagements. to the Customer. It expounds the Value of employees and the building of their self-esteem, awareness, and engagement, and expands the concept of Customer Strategy, Customer Circles and Continuous Customer Improvement Programs, Value pricing, the roles of departments such as HRD and Finance, and measuring CVA and EVA.